A New Zealand family is torn in half because draconian laws prevent them from accessing the natural medicine their daughter needs to prevents seizures. Corporate interests have made all alternatives to pharmaceuticals illegal, so the family is forced to flee to South Africa to get healthcare. It sounds like a dystopian cyberpunk novel along the lines of The Verity Key, but this is actually the reality of New Zealand today. Kiwis like to smugly think that their country is more socially advanced than the others: after all, we gave women the right to vote in 1893. Surely we’re more advanced than South Africa, in any case. But on the major moral issues of the day, New Zealand is already more backwards than South Africa. A court in the Western Cape just ruled that cannabis can be used in the home without fear of prosecution. This means that South Africa has a more enlightened, compassionate and mature approach to the War on Drugs than New Zealand. Does any court in New Zealand have the courage to do that? Not a chance in hell. Our judges and justice system representatives happily lick the arses of the politicians who command them to put Kiwis in cages for their use of a medicinal plant. This comes after Uruguay fully legalised cannabis in 2013. It might come as a blow to the pride of Kiwi readers to hear that their country, long considered forwards-thinking, is now more culturally backwards than South Africa and parts of South America. But it’s true, and we’re going to have to get used to it. They have surpassed us in cultural advancement, because we have stagnated so badly. The total failure of the New Zealand Baby Boomers to hold the political class to account has meant that New Zealanders actually lack rights than people in certain parts of Africa enjoy. When South Africa legalised gay marriage in 2006, Kiwis who knew about it mostly wrote it off as a fluke, one that went against the run of play. But now that a South African court has ruled cannabis legal – again, well in advance of any New Zealand court doing so – we Kiwis have to accept that we are now the socially and culturally retarded cousin in the relationship. They have surpassed us. Even prisoners in Uruguayan jails have access to medicinal cannabis. Considering that one of the major psychiatric uses for medicinal cannabis is Post-Traumatic Stress Disorder (PTSD), and considering that misbehaving on account of having complications from PTSD is one of the major reasons why people end up in prison, withholding it from prisoners in New Zealand seems inhumanely cruel. Cruel, but reflective of who we really are, not who we pretend to be. Our reputation as a world leader on social issues is gone, gone, gone. We pissed it down the toilet for tax cuts and a lift in the value of our property portfolios. The third world country at the bottom of Africa that had apartheid based on race until 1994 is now more socially advanced than New Zealand. That’s how far behind we have fallen. That’s how badly the Baby Boomer intellectuals have failed us. Kiwis, we are now more backwards than South Africa, and this is not a new idea that has fluttered into the consciousness but a grim reality that has been bitterly chewed over for a decade. Is there anyone left with the will to challenge this? The dishonesty and disingenuity woven into this article is astounding. To possibly compare New Zealand and South Africa and draw the conclusion that SA is more “advanced” than New Zealand, one must be deeply ignorant of the situations of both countries. South Africa is a country where the President has claimed that one can “cleanse” himself of AIDS by taking a shower. It is also a country where the President is a bigamist. 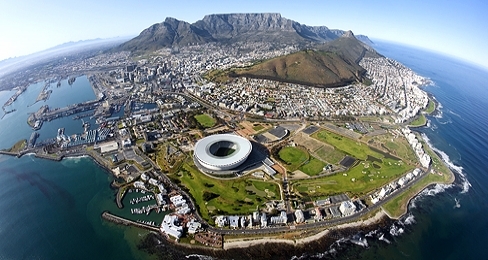 South Africa is a country with 67 murder per 100,000 people, compared to New Zealand’s 0.9 per 100,000. This is 10x the murder rate of America, taking into account population size. It is a country that consistently ranks close to the bottom when ranked by educational achievement. It is a country where most of the population live in fear, terrorised by roving gangs of criminals who murder, rob and steal without hesitation; where the police are all but useless. But yes, you’re right: your trivial, meaningless little pet social issue makes South Africa a better country in which to live. Don’t mind the fact that the country is run by dysfunctional, economically illiterate, apathetic, socialist thugs, where the men in power loot the population to enrich themselves. Yes, your plant is more important than the quality of people’s lives (or whether they live at all). Never mind the fact that the Government has likely only legalised this drug to avoid having to take responsibility for the fact that the enforcement of criminal law is abysmally poor. The author could not be more out of touch if he tried. He betrays his complete lack of ability to recognise the real issues affecting people. The government had no involvement in the matter. They were ordered by the highest court to change the law because it is in conflict with the country’s constitution. It is however backward for any country to continue putting users in jail for the mere possession and use of recreational drugs. Quite right to criticise New Zealand in this area. Malaysia was completely socially backward on this topic. It’s a country where the state murdered people for drug smuggling. Next Next post: Should New Zealand Adopt Saudi Arabia-Style Imported Slave Labour?